If you are trying to find the best dual diagnosis recovery helplines, your search can end now. When you contact us at 1-888-319-2606 Who Answers? , we will you find the dual diagnosis recovery center right for you, no matter where you’re looking for help or what specific requirements you have. If you or someone you love is suffering from both mental illness and addiction, it is important to find a recovery center that can address both issues at the same time. Luckily, many treatment centers offer dual diagnosis services. When both services are integrated into one setting, your chances for a successful recovery increase. The intersection of mental health problems and substance abuse is incredibly common. Research published in the Journal of the American Medical Association indicates that over a third of all people who abuse alcohol and over half of the population who abuses drugs are also struggling with a mental illness. These mental health issues range in intensity, duration and type, and people who suffer from severe mental illnesses seem to be those most likely to struggle with addiction. In particular, people with personality disorders, schizophrenia and bipolar disorders seem to have the biggest likelihood of struggling against drug or alcohol addiction. According to the National Alliance on Mental Illness, almost half of all people who have schizophrenia also suffer from substance abuse issues, and nearly two-thirds of individuals who have bipolar disorder also suffer from substance addiction. When compared to the percentage of the general population who needs treatment for substance abuse, these numbers are staggering. According to the National Institute on Drug Abuse, just over 9 percent of the general population needs treatment for drug abuse. That means that schizophrenics are nearly five times more likely to face substance abuse problems than most normal people, and individuals with bipolar issues are about seven times more likely to suffer from addiction. The high risk for substance abuse also makes it harder for treatment to be effective. If someone with a mental disorder contacts a rehabilitation facility that only focuses on addiction, the person may have a hard time getting past his or her addiction. In this case, a comprehensive approach to addiction recovery program is necessary. There is no single type of recovery program that works for everyone, and this is especially true for people who are struggling with mental illnesses in addition to their addictions. When you enter a rehabilitation facility, an assessment will be performed. Your healthcare provider will use the information in the assessment to craft a treatment plan for you. 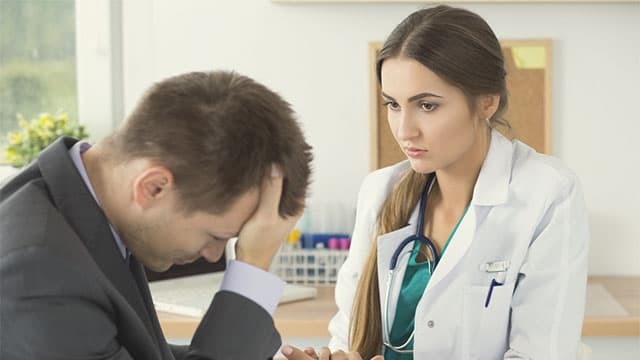 According to Mental Health America, however, doctors may find it difficult to determine whether or not an addict is facing mental health issues as well as addiction. In some cases, you may have to go through detoxification before your healthcare provider can diagnose your mental illness. In other cases, a mental illness has already been determined before treatment starts. Regardless of whether your mental illness is diagnosed or not, it is critical that your recovery program tries to treat both issues at the same time. Several different types of treatment and therapy are used to help people suffering from a dual diagnosis. You may find that you need a combination of therapy and medication. Medication can help control your mental illness and alleviate the withdrawal symptoms that you might encounter after you quit using drugs and alcohol. Therapy can help you learn how to live without drugs or alcohol and how to cope with your mental illness. Before you can start treatment, you need to take the first step. The first step is admitting that you need help and finding someone who can help you. If you are ready to find the best dual diagnosis recovery helplines, we are ready to help you. We are standing by at 1-888-319-2606 Who Answers? to answer your call.